Since Aristotle, tragedy has been seen as uniquely exhibiting the importance of action for human happiness. Beginning with Adam Smith, however, political economy has claimed that the source of happiness is primarily production. Eclipse of Action examines the tense relations between action and production, doing and making, in playwrights from Aeschylus, Marlowe, Shakespeare, and Milton to Beckett, Arthur Miller, and Sarah Kane. Richard Halpern places these figures in conversation with works by Aristotle, Smith, Hegel, Marx, Hannah Arendt, Georges Bataille, and others in order to trace the long history of the ways in which economic thought and tragic drama interact. "Halpern’s book is well worth the read. Its complex, multi-faceted and wide-ranging arguments will certainly appeal to scholars of history, philosophy, economics and theatre." "This is a book about tragedy in which Adam Smith's Wealth of Nations is at least as important as Aristotle's Poetics. . . . Halpern, to his credit, tests his ideas against the more complex world of Hamlet with persuasive results. He helps us see how the search for favour and reward at court elides with the cash nexus on which the travelling players and armament workers depend." 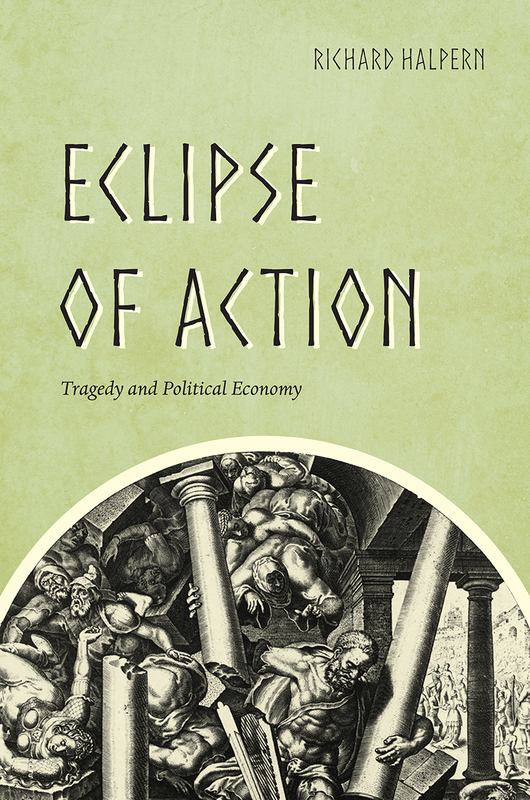 "Of all the books published this year, Richard Halpern’s Eclipse of Action: Tragedy and Political Economy perhaps best exemplifies the clarity and consequence of argument that becomes possible when we extend our frame of reference beyond a single period to pursue a set of philosophical problems that have come to constitute our notions of politics and the political." "An ambitious reconsideration of tragedy that is at once deeply theoretical and richly historical, Eclipse of Action rethinks two canons: the canon of tragic drama and the canon of political economy. This is history on a scale to which literary scholars have become unaccustomed. Precisely because Halpern disregards protocols of discrete fields, this book will be widely read, cited, argued with, and celebrated. It belongs on the shelf next to the likes of Walter Benjamin, George Steiner, and Raymond Williams."